The liver is one of the hardest-working organs in the body. However, it’s often overlooked, overworked and neglected. According to the American Liver Foundation, Non-alcoholic Fatty Liver Disease impacts an estimated 100 million people in the U.S. It’s one of the most common forms of liver disease and its prevalence has nearly doubled over the last 20 years. 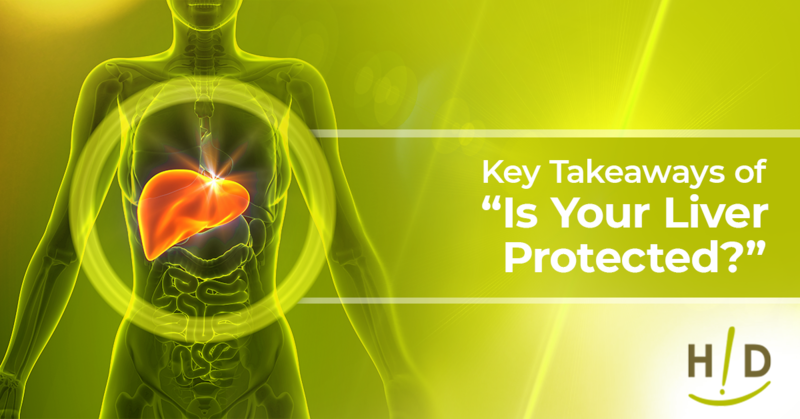 In our most recent webinar “Is Your Liver Protected?” presented by our Dr. Shavon Jackson-Michel, ND, we dive deep into NAFLD and offer lifestyle and food-based strategies to protect you and your family. It’s normal for the liver to contain fat. However, fat content any greater than 5 to 10 percent of the liver’s weight is considered harmful. NAFLD is what occurs when you develop a notably fatty liver, also referred to as steatosis. Fibrosis can also occur, which is where scar tissue gets deposited into the liver. NAFLD is most commonly the result of being obese or overweight. 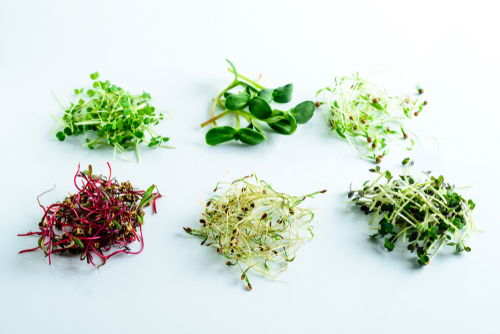 Following a high-fat or high-cholesterol diet that’s low in phytonutrients and fiber is one of the easiest ways to increase your risk for NAFLD. Your liver is designed to produce bile, excrete bilirubin, cholesterol and hormones, store glycogen, vitamins and minerals, and most importantly, detoxify and purify your body. If you’re obese, have high blood pressure and blood cholesterol, you put more stress on your liver, making it more difficult to succeed in the detoxification process. 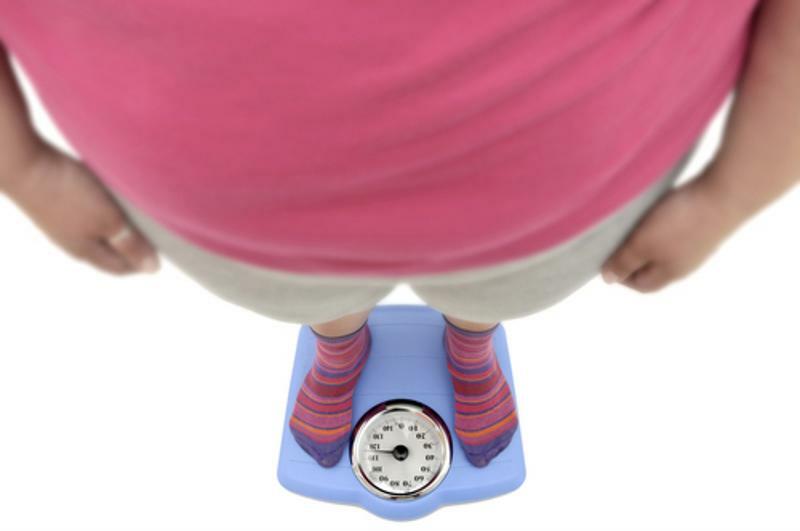 Obesity can cause Non-alcoholic Fatty Liver Disease. Because NAFLD is asymptomatic, there’s really no way of knowing that it’s developing until it’s too late. That’s what makes taking care of your body and practicing early prevention key to healthy aging. 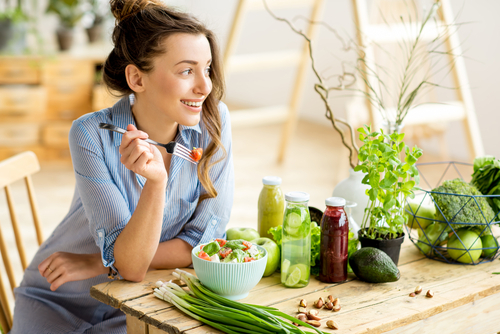 Following a plant-based eating regimen, such as the Hallelujah Diet, is a simple solution that can reduce your risk for NAFLD. With a variety of raw fruits, vegetables, organic whole grains, nuts and seeds, you can reduce your chances of becoming overweight, obese or developing the other chronic conditions that lead to NAFLD. Vitamin E is currently one of the only holistic treatment options, as it can counteract many factors of NAFLD. It’s wise to pay close attention to curcumin as well, according to Jackson-Michel. Curcumin is also hepato-protective, gut-reparative and blood sugar supportive. You can get curcumin from cooking with turmeric, however, there’s only about two percent curcumin in the spice. That means most of it isn’t absorbed and it’s excreted almost immediately. That’s where Hallelujah Diet New Generation Bio-Curcumin comes in. It’s 100-percent turmeric rhizome-derived, made of a synergistic combination of curcumin and essential oils of turmeric, making it one of the most natural and clean ways to get your dose of curcumin. 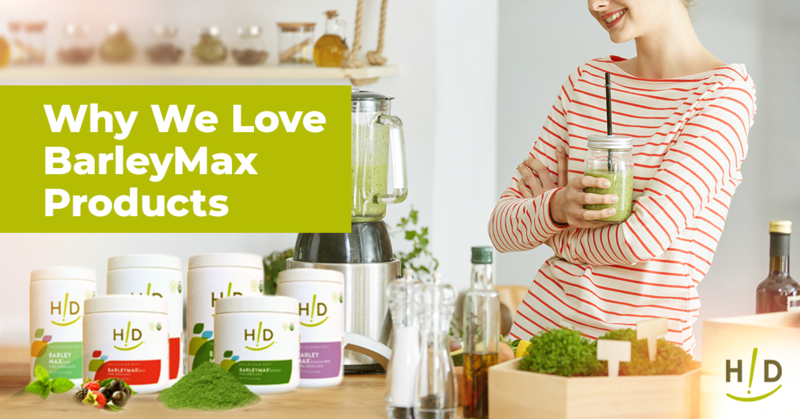 Not only is this supplement ideal for those fighting or preventing NAFLD, but the powerful antioxidant and anti-inflammatory agent can also supply free radical-fighting nutrients that can help the body protect itself against various cancers. Curcumin has shown to turn off genetic pathways that lead to nontraditional cell metabolism, so this supplement can enhance positive health outcomes such as supporting a healthy immune system and working to counter liver damage simultaneously. Learn more about Hallelujah Diet New Generation Bio-Curcumin today. Great information on how the liver works. Liver disease is increased fat in the liver tissues, inflammation or cell ballooning. I had never heard of cell ballooning where the liver cells get so filled with fat that the cell barriers disappears. I want my liver to do the job it was designed to do — to produce bile, excrete bilirubin, cholesterol and hormones, store glycogen, vitamins and minerals, and detoxify and purify my body. I can protect my liver with a plant based diet, bio curcumin and Vit E.
Great information I wasn’t aware of just how much the liver works for our bodies! Very important to take care of this vital organ with the proper diet and supplements to help enhance the diet. Good information about the Liver. The supplement at Hallelujah Acres called Bio-Curcumin is a great antioxidant I take one each morning. Thanks again. One of the most important organs in our bodies. Overstorage of fat cells is a major concern. Biocurcumin and Vitamin E are two very important to the protection of our liver. Staying on a plant based diet is the most beneficial thing we can do for this most hard working and least appreciated organ. Thanks for the information and the Webinar about protecting our Liver is great.